ENJO Australia is a social selling company creating flexible business opportunities for savvy women and a healthier way to clean. Our market-leading range of planet friendly cleaning products is available exclusively through our online shop, as well as our one-on-one consultations and in-home ENJO Demos presented by our ENJOpreneurs. 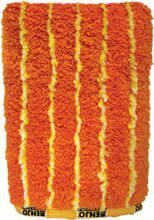 Harnessing the natural cleaning power of microfibre technology and water, our clever cleaning fibres from Austria have been awarded the title of Australian Women’s Weekly Product of the Year. We’ve also been praised by The Sunday Times, Australian House & Garden and Woman’s Day for bringing a quick and easy solution to healthy cleaning and balance to the modern woman’s life with our social selling business model. 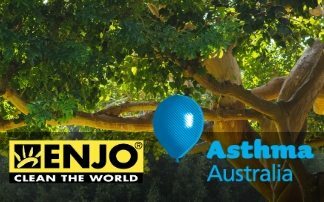 ENJO Australia joins forces with Asthma Australia to celebrate National Asthma Awareness Week. 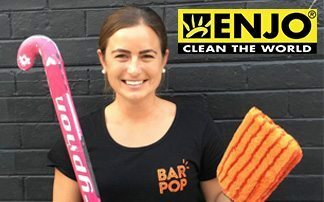 SOUTH Perth local and ex-Hockeyroos player Jayde Taylor has swapped her stick for a cleaning glove, and turned her attention to educating locals on how to remove toxic chemicals from their lifestyles.